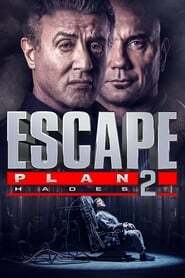 Escape Plan 2: Hades (2018) BluRay 480p, 720p Sequel to the 2013 film that featured a security expert named Ray Breslin, who used his skills to test out the reliability of maximum security prisons. Love in the Buff (2012) BluRay 480p, 720p Former lovers Jimmy and Cherie discover that getting over each other isn't as easy as they thought in this sequel to the romantic comedy Love in a Puff. Sacrifice (2010) BluRay 480p, 720p To save the only child of the Zhao Family, whose entire clan was massacred at the hands of a nefarious minister, a doctor sacrifices his own son; after the Zhao child grows up, the doctor becomes intent on seeking his vengeance.